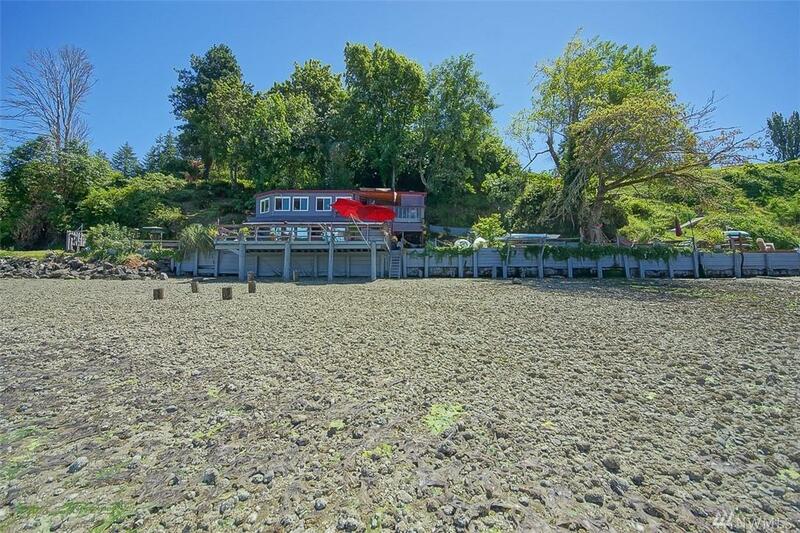 2 homes on 1 parcel of Wollochet Bay Waterfront. Home 1 = 1875 sf, home 2 = 1000 sf. 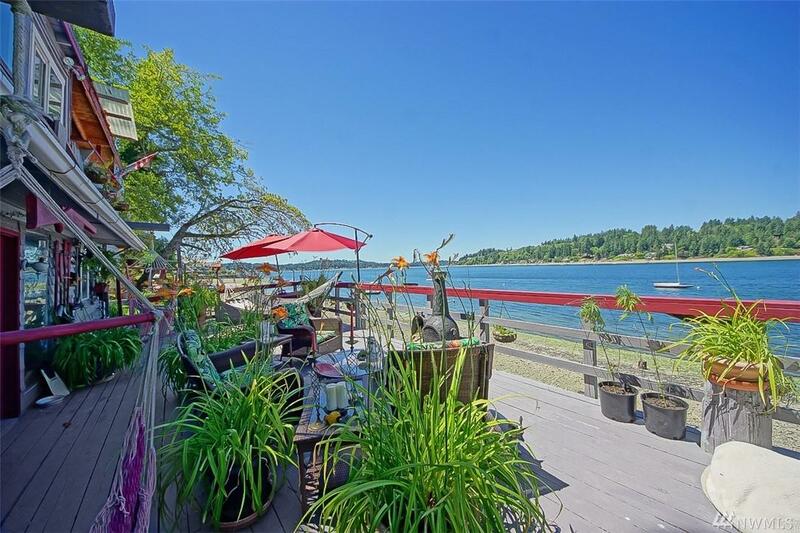 Huge lawns above with panoramic views of bay. 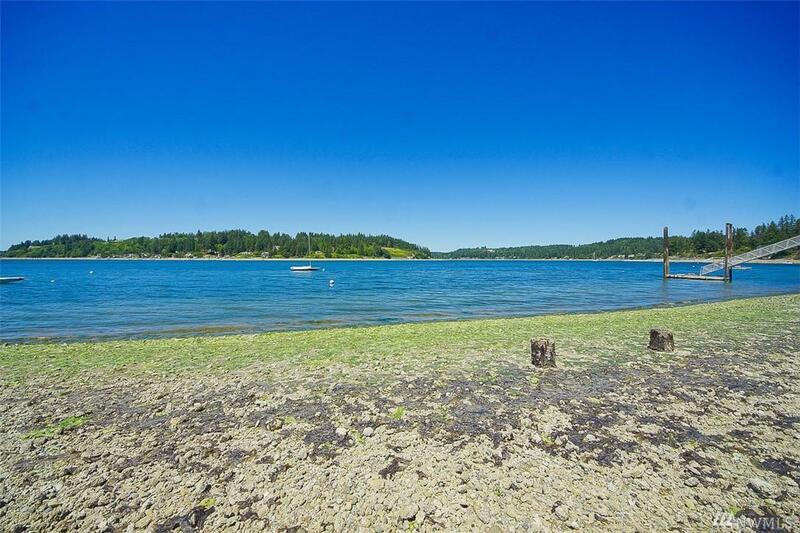 Main home w/deck, outbuildings, lovely trees, on very quiet setting. Down path to 2 story beach home with huge deck, lawn areas, hot tub & over the water at high tide, Kitch, bath, living room & bedroom. Bring your boat and jet skis. 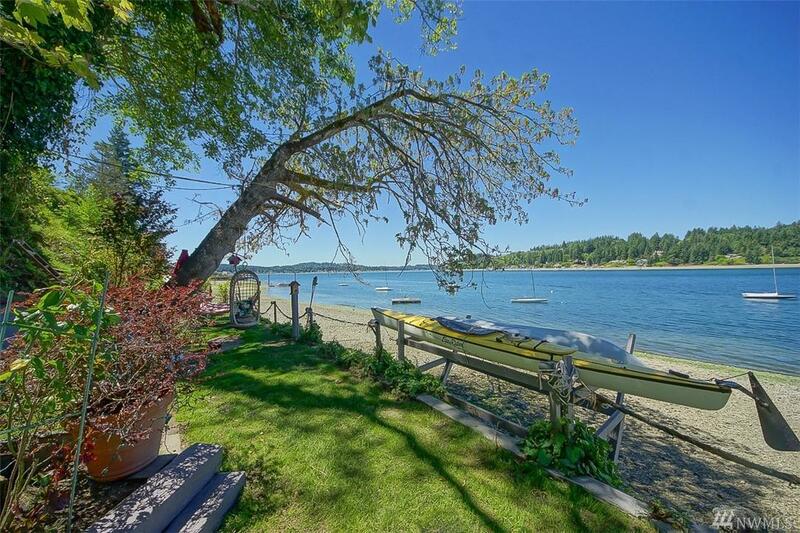 Both homes will need some updating but the setting and grounds are well worth the effort for close in waterfront living. Beautiful.